The Junior School competed recently for the Crawford Cup of Bowling Brilliance. Cameron Stephens recorded the high score of 78 as our inaugural winner of the trophy. Mr. Dwayne Crawford, our KES Business Manager, kindly offered students a bowling lesson then helped run the tournament. Dwayne is an excellent bowler having recorded a personal high score of 197. Mr. Crawford donated a ball from his high score for the trophy. 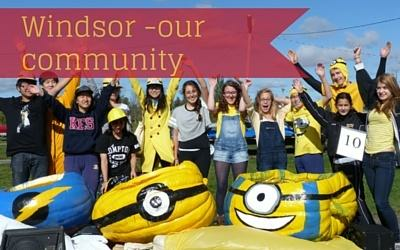 This event was great fun and a great opportunity as we are lucky to still have a bowling alley in Windsor.